This second Sunday, make your first stop the FRINGE lot on 21st and X Street. 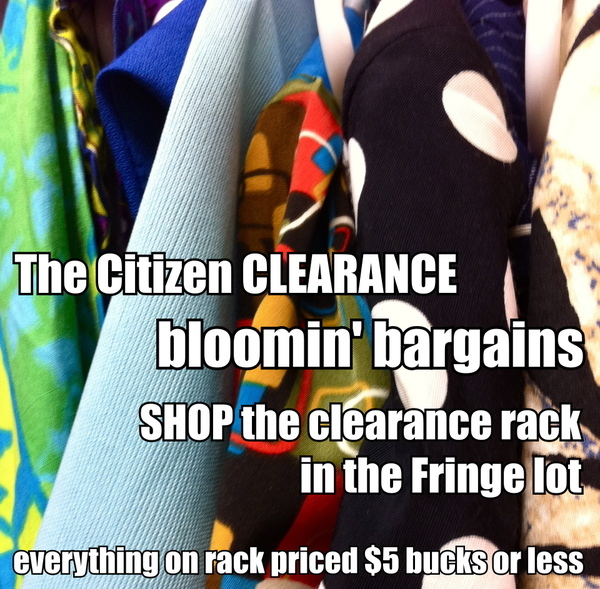 Not only am I putting out a clearance rack of vintage goodies out to sell (HOW'S ABOUT A SCORE FOR $5 BUCKS OR UNDER?) but there are amazing vendors selling in the Fringe lot with me. 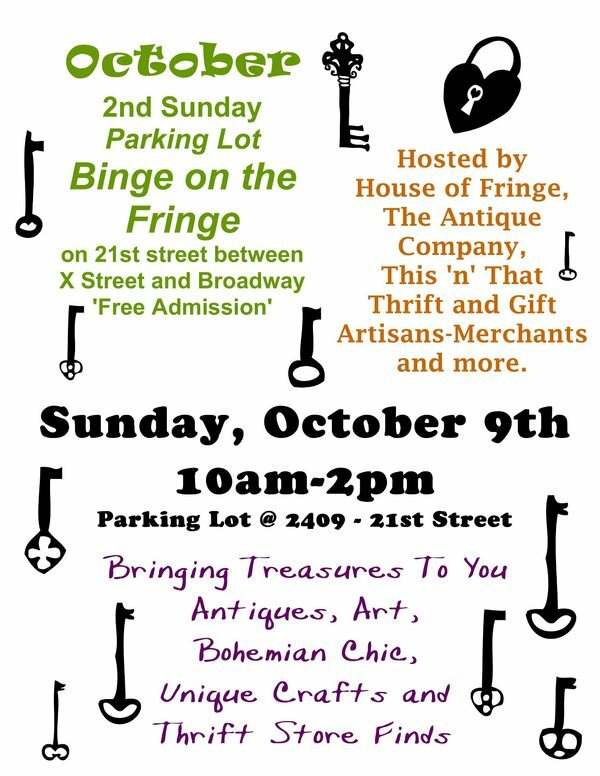 The crew from THIS N THAT THRIFT & GIFT are setting up shop with a booth full of fabulous thrifty finds, also you can shop the likes of KARMA COLLARS, ANTIQUE AND CO., and the tasty styling of COURTNEY CUPCAKES. Bring your bikes and get a free bicycle check at the ARCHER BICYCLE BOOTH. Wish I could drop by........sigh! I want to meet you too, Gorgeous necklace...,ahhhhhhhhhhhhhhhhhhhhhh. Hope your sale is mega successful!! Maybe someday there will be a Bella Tour and those of us in other cities can meet you!! Or even us in other countries... Come on a world tour! Sell a lot!! Wish I could be there. Good luck and sell, sell, sell! 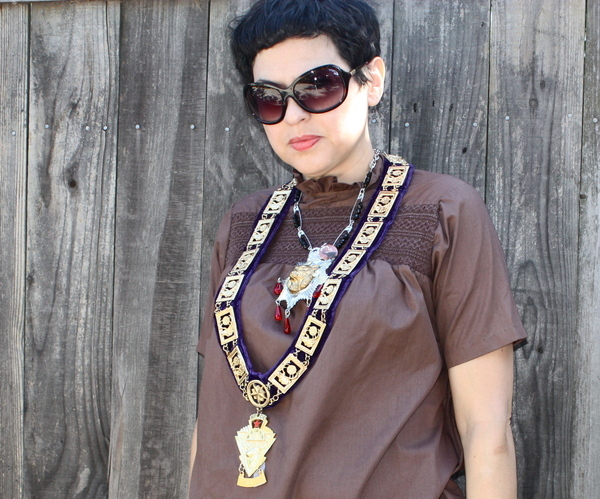 That necklace is truly a divine piece. Would love to have been there to have met your stylish, beautiful self!